There is no need to dread getting older, especially when you are turning 65. 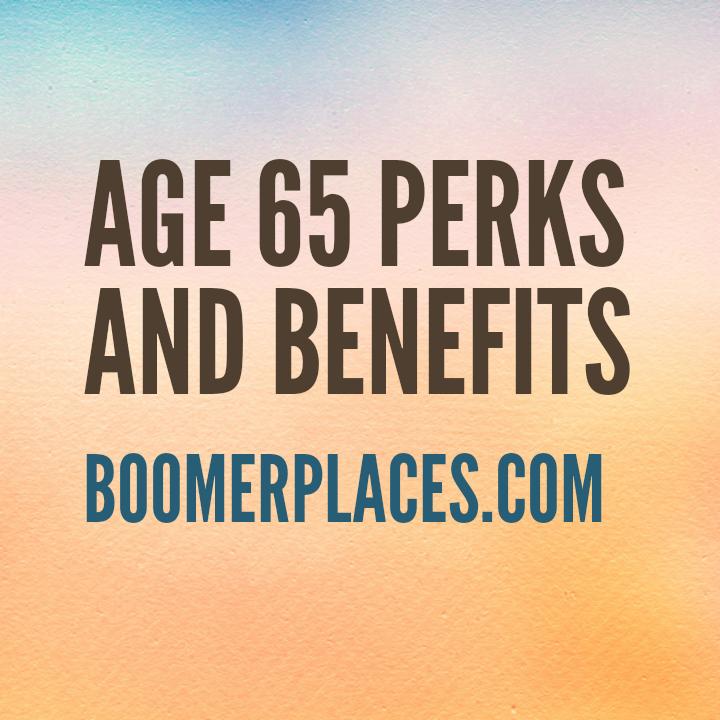 This is the age when an entire new world of benefits and perks opens up to you. You will also have more time to enjoy retirement, travel, and time with family and friends. When you turn 65, you will now qualify for Medicare Insurance. In addition, you are eligible for Property Tax Exemptions and/or an increase in Homestead Benefits in many areas across the country. 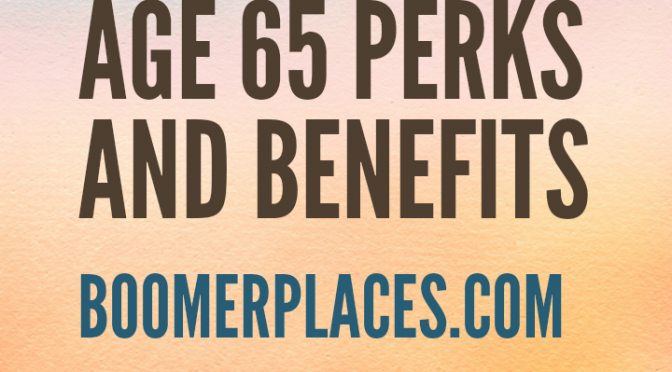 Let’s explore some of the age 65 perks and benefits a bit further below. Medicare Eligibility: You have a rather short window to sign up for Medicare Insurance to avoid premium increases, which starts three months before your 65th birthday. IF you do sign up during these three months, your benefits will be active on your birth date. Should you choose to hold off, you will see increases of 10 percent for each year you delay. However, this does not apply if you are still employed and covered by your employer’s provided insurance. So, to avoid the 10 percent increases in this situation, be sure to apply at least eight months before retiring. Get Your Free Medicare Physical: Medicare offers a 1-time physical examination for free for all individuals covered under the Part B insurance coverage. This is another reason it is a good idea to sign up for Medicare during the three months leading prior to your birth date. This way once you turn 65, you can locate a physician who participates in the free exams. Depending on the doctor and what they include in the physical, you may have the following checked free of charge: vision, bone mass, cardiovascular, general health, blood pressure, and more. Physical Fitness Perks: There are many communities that offer discounted memberships or free physical fitness programs to those age 65 or older. With recent trends and news headlines about Boomers maintaining a healthy lifestyle, community leaders are well aware of the importance of offering these discounts to ensure the well-being of their older residents. Be sure to check your local churches, community centers, and fitness clubs for the best deals. And once on Medicare, please check out SilverSneakers for free gym membership. · AARP Membership Discounts – Membership is only $16 a year and worth it for the discounts you can get. Collect on Your Retirement Plan: When you turn 65 and you retire from your job, you can finally begin to collect on your retirement plan. This may be a 401K or a Pension Plan. You have work hard and deserve to retire now. The other great thing is no one will think twice at you deciding to retire at 65…so enjoy. Social Security Benefits: To receive the most from your Social Security benefits at this point, you should ideally apply for them three months before your 66th birthday which is full retirement for the folks turning 66 at this point in time. However, you can apply to start receiving your benefits sooner of course, but your monthly rate will be less than had you waited until your full retirement age, which is 66. Property Tax Exemptions or Homestead Benefits: These benefits are huge for individuals who own or plan to own a home and/or property. Homestead Credit Benefits vary by state. You will need to research online or call your local comptroller’s office in your area to find out about any offers for an increase in Homestead Benefits. For example, New Jersey offers the credit to be applied to the qualifier’s property tax bill. Other states may apply the credit to school, county, or other taxes. The same is true of Property Tax Exemptions. You will need to contact your local comptroller or tax assessor’s office for information on this benefit. This is because property tax is a local tax and varies by state and sometimes county based on a tax calc. Senior Center – You really need to check out your local senior center because there are lots of benefits there to keep you active and enjoy the friendship of people your own age. As you can see, there are many reasons to celebrate getting to retirement age. You will have the time and with all these age 65 perks and benefits, you will have extra income to relax and enjoy life. Make time to spend with grandkids and travel or maybe just invest in “you-time” and finally do the things you have been putting on the back burner. Also make sure you are getting the perks and benefits that come at these earlier ages. It would be very nice if we are so respected by many young people as we get older. Of course, some of the offerings can be an good example. There are insurers that offers seniors 65 and over the option of gutting life insurance coverage without having to take any of the pesky physical examinations. Some of these insurers may include AARP/New York Life, Colonial Penn, and Globe Life, among others.But, make sure you find out when your “full coverage” begins. Some of these plans have graded benefits the first 2-3 years you are insured so make sure to find out when you have 100% coverage. Not to mention several golf courses give major discounts to golfers 65 or older. My mom is turning 65 in a few weeks, and she has been dreading finally being considered a senior. However, the tips you shared would prove that becoming one is actually a good thing. The benefits you shared, especially those about fitness centers and other discounts, will hopefully help her overcome her fear of becoming older. I know I’m now not being so afraid of it now. basically seems to me to live a long life is to exercise regularly, and eat a healthy diet, and do not confuse any case, but the fact it is our job almost every day, no rest, it is causing us to become ill when old, heard stories I am very happy that you are 65 years old you are still healthy shape. Medigap Planners offers a free Medigap rate comparison to seniors.